The Alqueva Multipurpose Project (AMP) is situated in the region of Alentejo, one of the most under-developed and backward regions in Portugal and Europe, with an area of 27 000 Km (nearly a third of continental Portugal) and approximately 500 000 inhabitants. This large area, with a rich and diversified natural patrimony, presents important problems in terms of physical and human desertification. 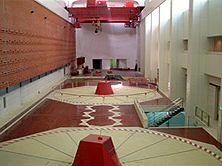 The first references to create a water reserve in the Guadiana River in the Alentejo region, were made 100 years ago, but the project, as long as it concerns to the AMP, was conceived in 1957 as part of the Alentejo Irrigation Plan. However the Project was only approved in 1975, after the Portuguese-Spanish Agreement in 1968. This Agreement attributed to Portugal the hydraulic exploration of the international section of the Guadiana River between the confluence of the Caia River and Cuncos brook. 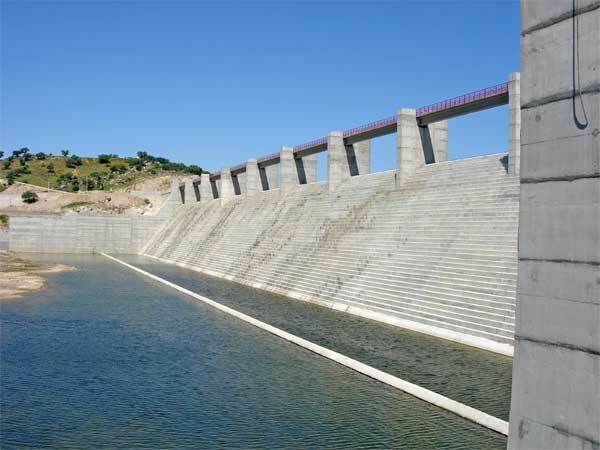 It was agreed that a dam would be built in Alqueva and in 1976 the construction works have started. The preliminary works lasted for only 2 years, the time to build the downstream and upstream coffer-dam, the deflection stream river provisional tunnel, accesses and support infrastructures. The works were interrupted in 1978, a new evaluation process started, and new studies were promoted. Later in 1993, the Portuguese Government decided to resume the Project and the works in Alqueva restarted in 1995. In 1996 the new Government elected in 1995 decided to proceed with the AMP with or without financial support from the EU. 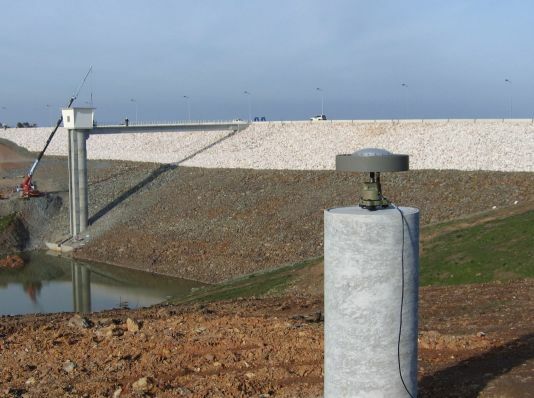 Recently, on February 8 th, 2002 the dam gates were closed and the Alqueva reservoir started to fill up. - Encouragement of the regional employment market. - 4400 km of secondary and tertiary irrigation channels. -Alqueva (right margin of Guadiana River): 71 000 ha, irrigated from Alqueva reservoir and nearly 8 000 ha from high Alentejo dams system. -Pedrogão (right margin of Guadiana): 29 000 ha, irrigated by the Pedrogão reservoir. -Ardila (left margin of Guadiana): 11 000 ha, irrigated by the Pedrogão reservoir.